The Colt M1895 Automatic Machine Gun was a gas operated machine gun. 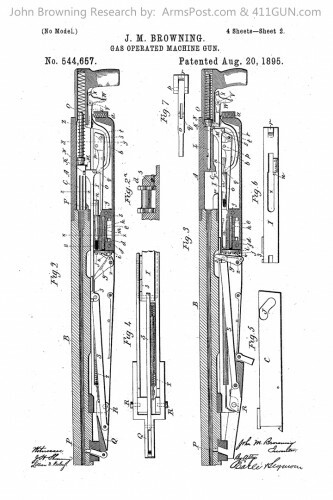 This was one of John Browning’s first Automatic Firearm Designs. 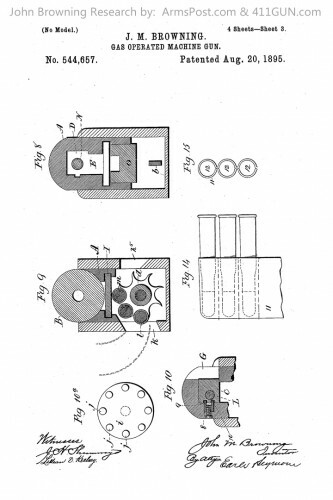 Reviewing his patents it is technically his second Automatic design, but the first to be produced and used in service. The Colt M1895 was also known as The Potato Digger and the Browning Peacemaker. 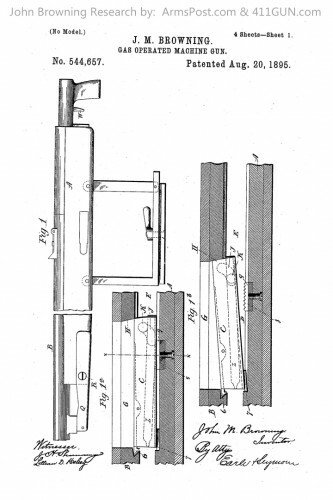 John Browning was granted US Patent 544657 on August 20th, 1895 for the Model 1895. 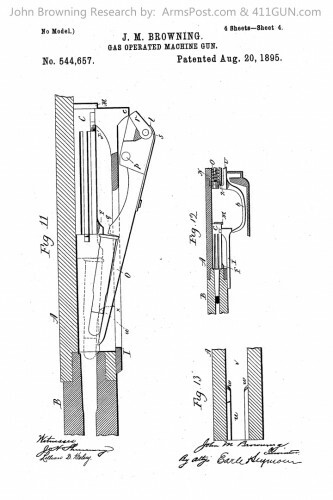 He had applied for this patent on November 7th, 1892.